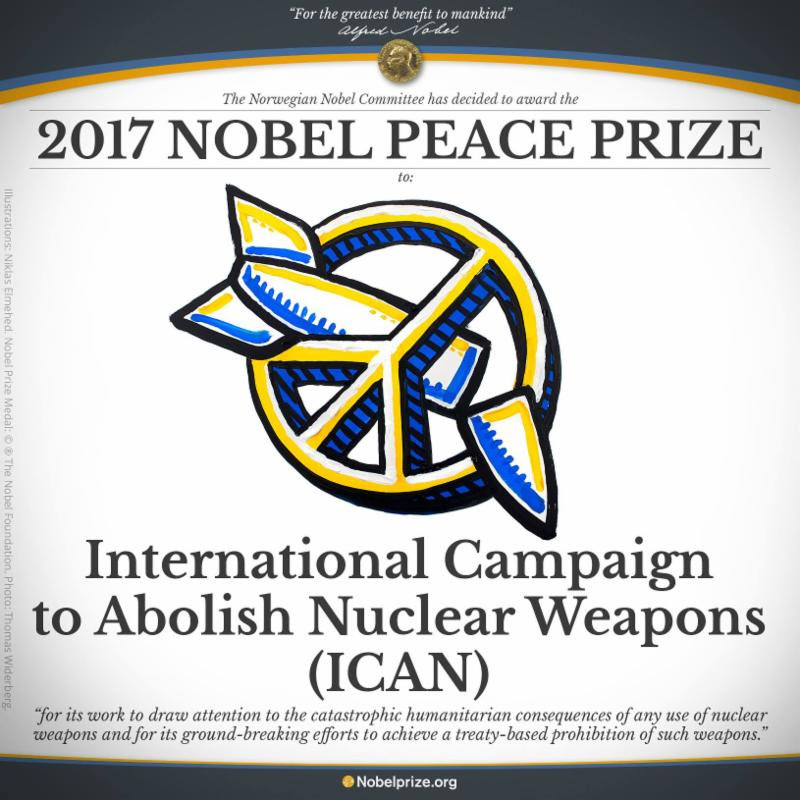 Pax Christi International is very pleased that the International Campaign to Abolish Nuclear Weapons (ICAN) has been recognised through the Nobel Peace Prize for its many years of striving to draw attention to the disastrous humanitarian consequences of nuclear weapons and for its admirable work in achieving the Treaty on the Prohibition of Nuclear Weapons, adopted at the UN this July. The treaty bans the use, threat of use, production, development, stationing, and testing of nuclear weapons. ICAN, which is celebrating its ten-year anniversary this year, is a coalition of non-governmental organisations in one hundred countries. 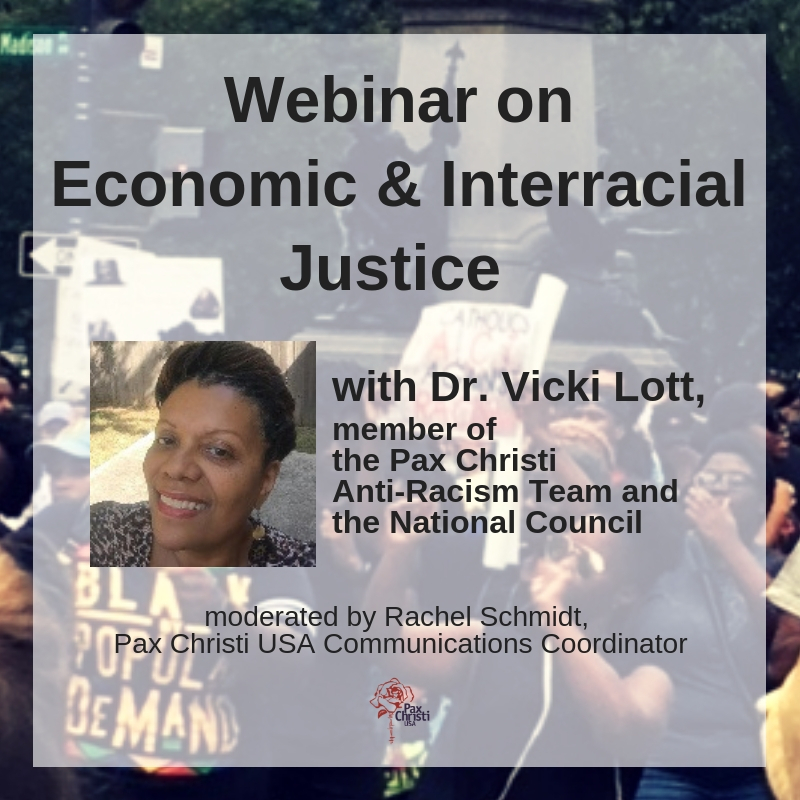 Pax Christi International, as well as its member organisations around the world, are part of the campaign, participating in national and international advocacy with governments and involving national and international church leaders. Our movement is encouraged that with this award the Norwegian Nobel Committee is also recognising the survivors of the atomic bombings of Hiroshima and Nagasaki – the hibakusha – and victims of nuclear test explosions around the world. The survivors are a unique and deeply inspiring voice for everyone involved in ICAN, including the membership of Pax Christi International. The award amplifies the survivors’ insistent calls for urgent action. The nuclear armed states have a responsibility to also take steps towards attaining a world free of nuclear weapons. “The decision by two-thirds of UN members to ban nuclear weapons because of their indiscriminate impact reinforces the urgent need for collective action. Now it’s time for nuclear armed states to join this historic process,” Vanaerschot continued. The winning of the Nobel Peace Prize gives ICAN great stimulus to continue to strive for the signing and ratification of the new UN treaty, to find ways to raise the ban constructively with its opponents and to follow up on its implementation once the treaty enters into force. There is still a lot of work ahead, so the winning of the Nobel Peace Prize by ICAN comes at a very timely moment.